Firstly, the traditional private office party. Find a stunning local venue and hire a whole function room just for your party. This is ideal for large companies that want to treat their employees with a lavish night out. Ideas: The Corinthian Club (Glasgow), The Caves (Edinburgh), The Beach Ballroom (Aberdeen). Many venues in Scotland offer these festive parties, which usually include a meal, drink and entertainment. So, you can book a few tables at a much bigger party, joining with other groups. Great for smaller companies who still want a big night out. Ideas: The Kingsmills Hotel (Inverness), Apex Hotels (Edinburgh, Glasgow and Dundee), Hallmark Hotels (Aberdeen and Glasgow). Plan a dinner with a difference, as you try to work out who dunnit between courses. These murder mystery event companies offer a choice of venues around Scotland and will tailor an event just for you. Ideas: Blue Murder Events (based in Cupar), It’s a Complete Mystery (based in Glasgow). Get behind the bar and shake up some amazing cocktails to share with your friends and colleagues. With the guidance of a professional mixologist, you’re sure to come up with something special. Ideas: All Bar One (Edinburgh, Glasgow and Aberdeen), Revolution (Edinburgh, Glasgow, Inverness and Aberdeen). Find out if your team has what it takes to solve the puzzle and get out in time. Escape Rooms are becoming extremely popular across Scotland, with lots ofdifferent games and themes to choose from. Ideas: Locked In (Edinburgh), The Locked Door Escape Games (Aberdeen), Lock Down (Inverness). If you and your colleagues love a sing-a-long, a private karaoke night could be the perfect Christmas party for you! With your own sound-proof karaoke booth and also waiter service for drinks and snacks, you can sing the night away. We all love a laugh, so why not book some tickets for a comedy show? Some of the UK’s best comedians have toured these Scottish comedy clubs. And most clubs put on special festive shows, perfect for a work Christmas night out. Finally, if you’d rather celebrate with a relaxing day of pampering, get your work pals together for some R&R. Several venues in Scotland offer spa and afternoon tea packages, which make great unusual Christmas party ideas. Looking for child, toddler and baby-friendly holidays in the UK? We’ve picked out some of the best hotels, holiday parks, resorts and self-catering accommodation for families. Because if the kids are happy, everyone’s happy, right? When you’re staying in a hotel as a young family, it’s nice to know that children are welcome. And it’s even better when certain items are provided. Meaning you don’t have to load up the car with travel cots, high chairs and other bulky things. Wooley Grange Hotel in Wiltshire for example, offers all sorts of children’s equipment. Including cots, nappy bins, changing mats, bottle warmers, bed guards and potties. It has a free creche and childcare, baby swim sessions, kids’ menus and plenty of activities to keep the little ones amused. And Wooley Grange is one of six luxury family hotels in the group, all with similar child-friendly amenities, so you’re sure to find the perfect one for you. If you prefer a little more space, a self-catering holiday home may be the ideal choice for your child and baby-friendly holidays. Keld Head Farm in Pickering offers the perfect family holiday, with delightful self-catering cottages located on a country farm. It has its own toddler play park, lots of outdoor space and a shed full of toys and games. Kids can borrow books and movies from reception. And there are lots of animals to see, including a resident peahen and her chick! Baby and children’s equipment is available in each cottage. If you’re looking for holidays with children that are close to nature, Eagle Brae in the Scottish Highlands is a truly unique experience. These amazing self-catering log cabins are nestled on a remote hillside, where red deer roam around freely and eagles soar above. There are lots of nearby family activities to choose from, including pony trekking and dog-sled rides. And of course, high chairs, baby monitors and cots are provided on request. There are some wonderful holiday parks and resorts in the UK, where the whole family can have fun together. Here, everything is designed with families in mind, so parents can relax knowing the kids will be entertained. Centre Parcs is one of the most well-known family holiday parks, with forest locations across the country. All of them have fantastic sub-tropical swimming pools, indoor and outdoor play areas, child-friendly restaurants and loads of activities. There’s a babysitting service, and cots and safety gates are provided in the lodges. If you’re looking for alternatives to Centre Parcs, how about Ribby Hall in Lancashire, Crieff Hydro in Perthshire, or Bluestone Resort in Pembrokeshire? What could be more fun than a family theme park holiday? Many theme parks in the UK have their own hotels, designed for families and including a few extra surprises! The Legoland Hotel in Windsor is a truly magical place to stay. The family hotel has themed rooms, play areas and a swimming pool, weekend entertainment and lots of family activities. Tickets to Legoland theme park are included too. Or, how about Drayton Manor Hotel? With large rooms, Thomas the tank engine themed spaces and a family restaurant, it’s great for child, todler and baby-friendly holidays. Stay and play packages, including theme park tickets, are available when the park is open. Planning a proposal can be overwhelming, but there are so many wonderful ways to do it. So, why not whisk your loved one off to a beautiful place in Scotland to pop the question? Bursting with breath-taking natural landscapes, from sparkling lochs to lush glens, you’ll find it hard to choose. Here’s a guide to some of the best romantic places in Scotland to propose. If you’re planning a proposal to match something out of a Disney film, Scotland’s fairy tale castles provide the perfect setting. Steeped in history and drama, these beautiful castles date back centuries and have been home to kings and queens. Whilst many have been restored and function as museums and attractions, many are now just ruins. However, these crumbling castles are often surrounded by stunning natural landscapes, and provide a beautiful setting to pop the question. But if you want a true romantic stay, why not book a stay at one of the castle hotels? Dalhousie Castle is eight miles from Edinburgh and sits within an 11-acre estate on the Esk River. Dating back to the 13th Century, this hotel has 35 elegant guest rooms and suites with four poster beds. And there’s a lavish spa for soothing treatments. Pop the question on the banks of the river, or take a walk through the beautiful estate and find a secluded spot. Scotland is a fantastic place to enjoy stargazing thanks to its vast remote areas away from light pollution. Because of these dark skies, it’s home to the UK’s first Dark Sky Park. At Galloway Forest Park, you’ll have a chance of seeing the Milky Way and more than 7,000 stars and planets. With an array of viewing points, you’ll have no problem picking the perfect place to propose under the stars. And, if you’re lucky, you might also catch a glimpse of the magnificent Northern Lights. Or, if you fancy a touch of luxury and cosy log cabin during your star-gazing proposal, why not visit Eagle Brae in the Scottish Highlands? Surrounded by forests and mountains, these eco-friendly luxury log cabins offer private decking areas where you can sit wrapped under a blanket beneath the stars. Scotland is home to several stunning munros and mountains. And one of the most magnificent is Ben Lomond, which soars above the shimmering Loch Lomond. If you’re stuck for proposal ideas, this is a great one. Located just one hour from Glasgow, you can spend the day hiking up this 974-metre-high mountain. Here you can soak up the views of hills, the loch and the Trossachs National Park. There are trails to suit all walking levels, but don’t forget to take your walking boots. If after the romantic proposal, you want to enjoy a memorable evening or weekend, why not stay at the five-star Mar Hall Golf & Spa Resort? Overlooking the River Clyde and surrounded by a private 24-acre woodland estate, Mar Hall is one of the most romantic hotels in Scotland. Celebrate your engagement with a romantic dinner in the Cristal Dining Room. Then, retire to your elegant room with open fireplace and four-poster bed. With so much natural beauty available, you’ll find it hard to choose from the fantastic romantic places in Scotland to propose. But, however or wherever you get engaged in Scotland, the experience is guaranteed to be a special and memorable one. The UK is home to thousands of beaches and nearly 20,000 miles of coastline. So, where better to take your pooch than to a hotel near the beach where they can run around. It’s worth remembering that many beaches have dog bans during peak seasonal periods. However, Carne Beach in Cornwall is dog-friendly all year round. The Nare Hotel is great if you’re taking holidays with dogs. Located on the Roseland Peninsula, the luxury hotel faces Carne Beach on a cliff-side, and is just a few minutes’ walk from the golden sand. Dogs are welcome in guest rooms and in the hotel public spaces. Also, there’s The Dogs’ à la Carte Menu, with something for everyone, including any fussy eaters. If you’re looking for some remote pet-friendly accommodation, the Hideaway Experience near Dundee is a fantastic choice. With a selection of luxury dog-friendly cottages within secluded natural surroundings, you can enjoy a private, tranquil experience. And, your dog will have access to vast farmland and country trails. Relax in the hot tub, sit on your deck under the stars, or explore the local area with your pet. Whether you’re planning a romantic break and you want to bring the pooch along, or you’re celebrating a special occasion, the Hideaway is perfect. Eagle Brae offers unique eco-friendly accommodation in the heart of the Scottish Highlands. Surrounded by breath-taking natural landscapes, the luxury log cabins cater for your furry friends. Each log cabin has been individually designed, and features beautiful hand-carvings of Highland animals on the walls. Keeping nature and conservation at the forefront, each cabin is environmentally friendly. A micro-hydro scheme provides electricity and hot water to the cabins. And underfloor heating is provided through biomass wood-pellet burners. Situated between Glen Affric and Glen Strathfarrar, you’ll find plenty of long walks with spectacular views of the dramatic Scottish landscapes. Are you organising a city break but don’t want to leave your dog behind? At The Grand Hotel and Spa in York, your four-legged friends are welcome, and you’re just a five-minute walk from the historic city of York. Located along York’s ancient city walls, this iconic Edwardian hotel offers beautiful 5-star accommodation. 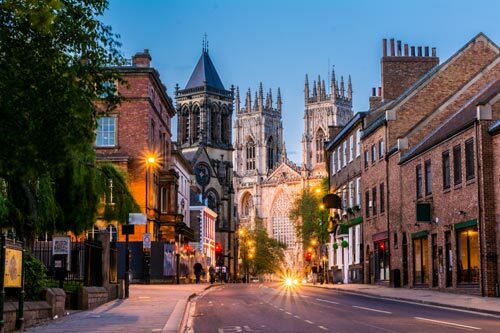 So you can enjoy a luxurious stay, before heading off with your dog to explore the city’s historic cobbled streets. So, if you’re looking for dog-friendly holidays in the UK, take a look at these hotels and start planning your break. You won’t need to worry about leaving your beloved pet at home, with these gorgeous dog-friendly places. Scotland is one of the most romantic destinations in the world. Bursting with history and stunning natural landscapes, there are so many places to enjoy romantic getaways in Scotland. And if it’s luxury accommodation you’re after, you’ll be spoilt for choice. From sea-facing hotels, to hideaways nestled in a stunning glen, you’ll find it hard to choose. So, whether you’re celebrating a special occasion, or whisking your loved one away for a romantic getaway, check out our top five romantic Scottish escapes. If you’re looking for a private romantic escape in Scotland, The Hideaway Experience is perfect. Located in Angus, Dundee, these tranquil spaces allow you and your partner to reconnect in privacy. Surrounded by the rolling Sidlaw Hills and Scottish countryside, the five-star cottages and wooden lodges are secluded and peaceful. They’re also fully-equipped with modern conveniences like coffee makers and dishwashers. What’s more, these luxury hideaways have day beds, hot tubs, spa rooms, and private gardens. So, they’re perfect for adult only holidays or a romantic proposal. The historic Dalhousie Castle stands proudly in Bonnyrigg near Edinburgh, and dates back more than 700 years. With its turrets and towers, the magnificent building looks like something out of a fairy-tale. And it’s perfect for weekends away for couples. The resplendent rooms and suites can be reached via a maze of staircases and secret passageways, and feature periodic furniture and modern amenities. And there’s an onsite spa with hydro pool, Roman-style sauna, and Turkish steam bath. Why not enjoy a delicious romantic dinner in The Orangery whilst soaking up views of the castle estate? Set on the banks of a sea loch in Ross-shire, this majestic hotel was once the shooting lodge for the Earl of Lovelace. Surrounded by natural landscapes of the Scottish Highlands, you’re never be without a magnificent view at The Torridon. For a truly romantic and secluded experience, stay at the Boathouse on the shores of Loch Torridon. Here, you can cosy up by the wood burner and enjoy the loch views from the living area’s panoramic window. Savour delicious locally sourced food at 1887 restaurant. Or, relax with a glass of the local tipple in the Whisky and Gin Bar. And if you want to explore the great outdoors, you can enjoy walking, mountain biking and sea kayaking activities. Located on the banks of Loch Lomond near the village of Balmaha, Loch Lomond Waterfront sits within 18 acres of private land and wooded area. The luxury self-catered lodge and chalets are perfect for romantic breaks. And each comes with stunning loch views and hot tubs. Here, you can enjoy a tranquil kayaking trip on the loch with your loved one. Or, head off on a scenic hike along the West Highland Way to Conic Hill or Millarochy Bay. Then, after a day of sight-seeing, return to your luxury chalet for an aromatherapy or Swedish massage from a professional therapist. Situated on a private 300-acre island near Oban, Isle of Eriska is one of the most luxury hotels in Scotland. Here, you can absorb the views of Loch Linnhe and the dramatic Morvern mountains within a tranquil setting. The main house has elegant rooms and suites, perfect for romantic getaways in Scotland. And there are Spa Suites, Garden Cottages and Hilltop Reserves for ultimate privacy and private hot tubs. Sit in front of the open fire with Afternoon Tea in the main hall or Drawing Room, or soak up the views with a refreshing drink on The Deck. Then, take a dip in the pool, indulge in a pampering couples massage at Stables Spa, or play golf on the 9-hole course. There are countless spectacular Scottish waterfalls to see all over the country. These enchanting and powerful cascading waters are true wonders of nature. So, here are our some of the best waterfalls in Scotland. Be sure to soak up the views on your next visit. The magical Fairy Pools are one of the top attractions on the island of Skye in the Inner Hebrides. Several waterfalls flow into these crystal-clear and icy-cold waters on the River Brittle, which are popular with Wild Swimmers. Are you brave enough to try it? This spectacular waterfall drops 50 metres into the River Foyers, which leads to the famous Loch Ness. The Falls of Foyers are known in Gaelic as Eas na Smuide, meaning ‘the smoking falls’. And they inspired the great Robert Burns to pen a poem in 1787. Plodda Falls is one of the most dramatic waterfalls in the Highlands. Located close to the village of Tomich near Glen Affric, its waters plunge 46 metres into Abhainn Deabhag and then the River Glass. The magnificent Douglas Fir trees in this area are another highlight. Below Ben Nevis, the tallest mountain in the UK, the stunning Steall Falls flows. Plunging 120 metres, it is the one of the highest waterfalls in Scotland. There is a rope bridge across the river, where you can enjoy amazing views, if you’re daring enough to cross it. The Glenashdale Falls, or Eas a’ Chrannaig in Gaelic, is a beautiful double-cascade near Whiting Bay and Holy Island on the Isle of Arran. Part of a scenic island tourist trail, this 40 metre waterfall is a spectacular highlight. Rogie Falls is an impressive series of waterfalls on the Black River, near Contin in the Scottish Highlands. You can view the falls from a new suspension bridge across the river. There are several breath-taking waterfalls surging down the 40 metre-deep Corrieshalloch Gorge on the River Dorma in the north of Scotland. There is a fantastic viewing platform, where you can take in the splendour of this remarkable National Nature Reserve. Plummeting 60 metres into the valley below, the splendid Grey Mare’s Tail in the Moffat Hills is tall and thin. And it certainly does look like a mare’s tail. Climb the steep slopes of White Coomb hill for the best views. In Loch Lomond and Trossachs National Park, the Falls of Dochart run through the small town of Killin, at the western end of Loch Tay. You can enjoy stunning views of the falls from the bridge in the town. And last but not least in our list of the best waterfalls in Scotland, we have the outstandingly beautiful Falls of Clyde. There is a Visitor Centre here and lots of Scottish wildlife to look out for, including badgers and otters. It’s always tempting to go the online route and book your trip away through an agent – it’s easy, it’s quick and they’re always ready to suggest the ‘cheapest prices’ online to really reel you in. As a matter of fact, that’s probably their only real draw beyond convenience. So why should you book direct when searching for UK hotels? Well, read on and you might just learn something. Why Would I Book Direct? It’s a given that booking through a third party might lead to some sort of fuss. After all, you’re not the one in control of your reservation. All sorts of troubles could arise: from reservations not being processed to your room being changed entirely and at that point you’re forced to wonder: who is to blame here? Finger pointing can lead to even more trouble, trouble that could’ve easy been avoided by cutting out the middle man. One on one, you build up a rapport with your hotel. It’s no longer just a faceless stepping-stone in the way of your holiday: there’s a voice at the end of the line and more often than not, hotels are more willing to help you out if you’re the one calling. On top of that, there’s always the question of price. That tempting ‘cheapest prices here!’ banner might be seductive, but it’s usually not all that true. Most hotels are willing to match prices with online hotel finder sites over the phone – or even go lower. Usually, the cost difference is negligible. Of course, there’s also the simple fact that hotels pay commission fees to the agents that advertise their rooms and wares – inflating costs up to 18% of what they should be. Clever hotels take advantage of that and give guests the chance to make savings: but only if they book direct. There you have it – booking a hotel room online via a third party might be easier but that doesn’t necessarily mean it’ll be cheaper, or even the more convenient assuming a problem does come up. To really get to know UK hotels (and snag the best prices) you’ll want to book direct. If you really want to avoid the hustle and bustle, then there’re always alternate holiday ideas that might just catch your eye! The word ‘Scotland’ evokes images of a wild, untamed and ultimately gorgeous landscape. Lochs and glens abound and the ruins of old castles rest where they were built, stunning monuments that are freely available to tour. Is it any wonder why Scotland is considered one of the most romantic places in the world? Of course, there are plenty of locations in the UK to choose from but if you’re after something truly special, then read on to find out more about stunning wedding venues in Scotland. The southernmost island of Scotland, Islay, is looked at with a mixture of nostalgia and awe. Home to distilleries, wildlife, stunning views and of course, history. One such historic landmark is available for Weddings: Loch Finlaggan. Formerly the home to the Lords of the Isle, the Loch houses a set of ancient buildings that make the perfect backdrop for that special day. Your wedding should be historic, so why not include a part of Scottish lore? For accommodation during your stay on the island, Islay Cottages are offering a special Romantic Escape – just the treat for your wedding and subsequent honeymoon. Scotland is a varied country, ruins and modern houses abound and choosing between the traditional and the up-to-date can be tricky. That’s why we’re suggesting the best of both worlds. Located in Inverness, the stunning Achnagairn Castle has been called a ‘fairy-tale wedding venue’ before and is the newly named number one in Harper’s Bazaar Magazine’s Best UK Wedding Venues category. The castle itself features a grand ballroom that can host up to 260 people, 24 luxury bedrooms for guests and an option for more rooms in the lodges set up outside of it. Expansive grounds, individually decorated rooms and all the grandeur of a royal palace, it’s hard not to say ‘I do’ to Achnagairn. There’s no need to fret if you’re still chasing ideas on just how your Wedding should go: after all, perfection takes time and plenty of patience. If you’re really feeling stuck, have a read of a few examples: including a DIY Wedding in an Abbey that’s only accessible via boat! The venue might be sorted, the wedding plans are underway but what about entertainment? Something romantic to listen to while you’re walking down the aisle or to dance along with during the reception. Fittingly named, Something Blue is a band based just inside of Glasgow that specializes in wedding entertainment. To learn more, or to have a taste of their talent, check out one of the videos up on the Something Blue site! Organising a wedding can be a hard task, though it’s well worth it in the end. Hopefully these wedding venues in Scotland will give you a few ideas on how best to plan and arrange that lovely day. Your wedding should be perfect – so why settle for anything less? With so much to look forward to in 2016, spread the love this Valentine’s Day with our favourite romantic places in the UK. When it comes to love, forget Paris. Rome is history. With an abundance of Michelin-starred restaurants, history streets and romantic hotels, London is one of our favourite romantic places in the UK this Valentine’s day. Enjoy a candlelit dinner at Clos Maggiore, take in a show in London’s West End, take in the view from the Shard before booking into one of London’s beautiful boutique hotels. With an endless supply of romantic things to do, fall in love all over again with Valentine’s Day in London. If London is too busy for you, or you’re looking for a more intimate romantic escape, opt for Oxford instead. Only an hour outside of London by train, Oxford is the perfect romantic alternative for couples of all ages. Dubbed “The City of Dreaming Spires”, its ancient cobble-street labyrinth, chiming cathedrals and romantic charms will leave you feeling all warm and fuzzy inside this winter. While the rest of the UK gears up for Valentine’s Day, Wales gets ready for St Dwynwen’s Day – the most romantic date in the Welsh calendar. With it’s Celtic charm and ancient traditions, making your way to Wales for St Dwynwen’s Day is a must for pointless-holiday-sceptics looking to boycott Valentine’s Day. With enchanting castles, charming villages, captivating coastlines and a wealth of gorgeous scenery, Wales is rich in some of the most romantic places in the UK. When it comes to romantic places in the UK, all roads lead to Edinburgh. Voted as one of the most romantic cities in the world, Edinburgh’s ancient architecture, haunted history and mysterious underground city is the perfect place to say “I love you”. 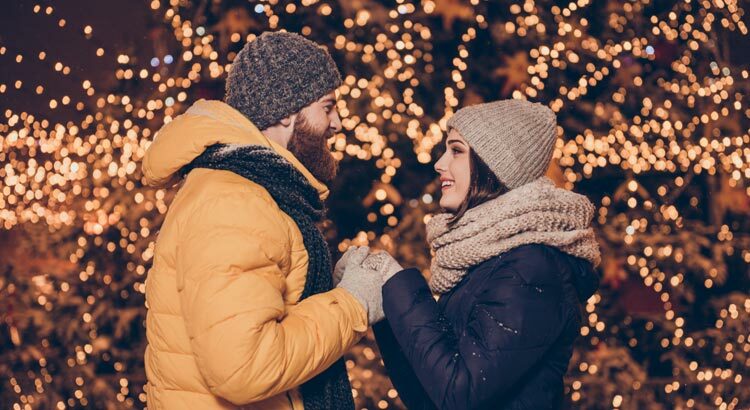 Whether you explore Edinburgh’s iconic castle, take a romantic stroll along the royal mile or enjoy a romantic picnic in Princes Street Gardens, nothing says I love you quite like a romantic escape to Edinburgh this Valentine’s Day. Spring is fast approaching and with it comes a myriad of unique, fun filled festivals that can only be found within the UK. A gorgeous country filled with culture, history and a keen sense of wit, the UK has built up a repertoire of somewhat unusual activities alongside the norm. That’s why there’s always a plethora of strange, yet historic, Spring festivals you don’t want to miss in the UK. We’ll start with the unconventional – Eels. Between the 29th of April and the 2nd of May, the town of Ely, Cambridgeshire, celebrates their namesake in the only sensible way: by making custom eel toys and having a contest to see who can throw them the farthest. Of course, the festival isn’t just about Eels. The Eel Festival Weekend generally features an (eel-based) food safari and a more vaguely defined food and drink festival on the last day of the event. The second day of the event traditionally includes an annual competition for Town Criers, the best cry takes all and we can only assume that they win something suitably Eel related. If Eels aren’t to your tastes, never fear; the festival will also have a hog roast and pizza for those feeling the eel burn – or if you’re just that little bit squeamish! The UK might be host to more strange festivals and traditions, but one stands out among all the rest. World-famous, Cheese-Rolling is one of those strange facts of life that many in the UK just (as the saying goes) roll with. The origins of the ceremony are vague, with several different origins noted, from pagan to the more mundane. Today, it’s simply an organic event. The most popular and well known Cheese-Rolling festival takes place near Gloucester on the Spring Bank Holiday and allows competitors from all over the world to take part: racing cheese down Cooper’s Hill. The cheese has been known to reach speeds of up to 70mph, so standing in the way may not be the best idea. If you’re in the UK on holiday, or as a resident, there’s all sorts of fun to be had over the Spring months. Quirky, zany and just a little bit bizarre, these are the Spring Festivals you don’t want to miss. In the UK later in the year? Then be sure to check out these Autumn Festivals in the UK.